The Barn At Lollie in Mayflower, Arkansas. By plane, bus, bike or car we are not that far. 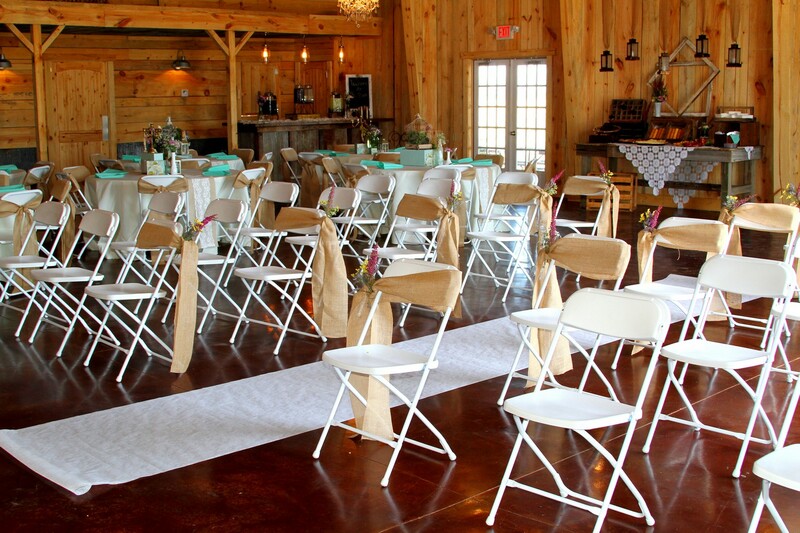 You will find that our event venue can meet a wide array of events such as weddings, receptions, reunions (family, school, military, etc), anniversaries, corporate events, birthday parties, and much more. For those of you planning a wedding, we know that your wedding is one of the most important events of your life and planning that day can be a most enjoyable experience. We would also like to be a part of making that day special at our unique event destination. Please feel free to contact us from our Contact Page. We are located in Mayflower, Arkansas. 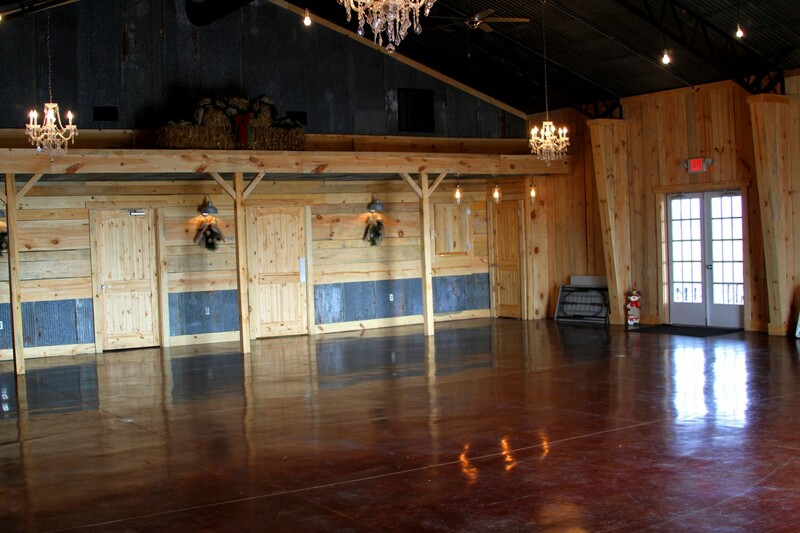 We are proud of our newly remodeled barn with rustic features including stained concrete flooring, rough cut wood walls, chandeliers and 2500 sq ft to enjoy your special day. The barns occupancy is 125 inside with an additional space outside that will hold 50. We offer a pavilion by the river to hold other events as well. Our excellent facilities include a changing area with plenty of room prepare for your event. 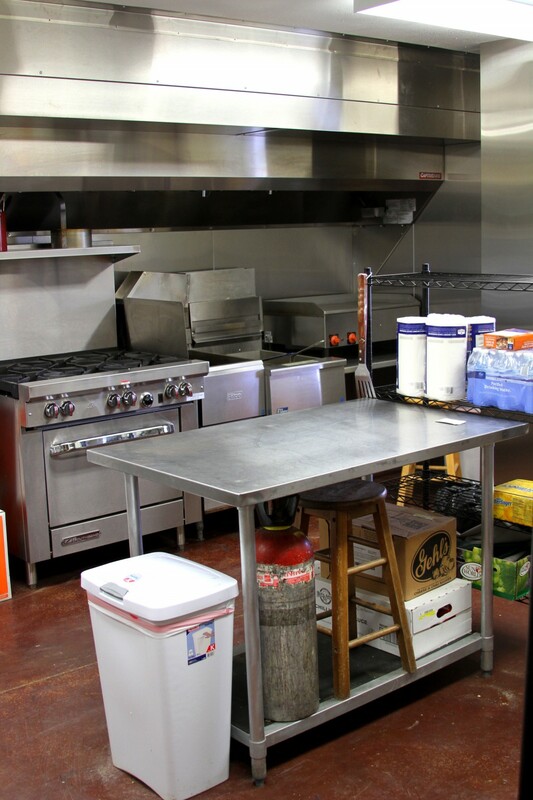 There are also restrooms and a commercial size kitchen that can be used for heating food and/or preparing the food for your event. 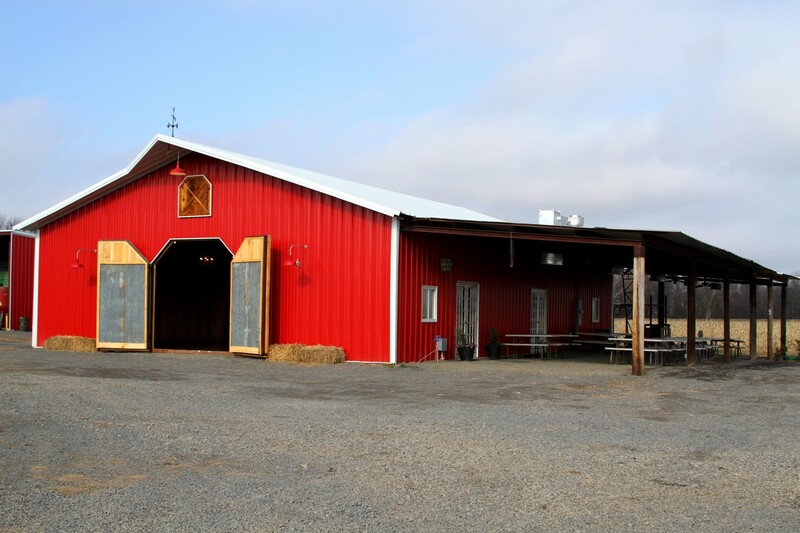 Your guests will find The Barn at Lollie easily accessible with plenty of parking and paved roads. There is also an airport within 2 miles for guests to fly in if that is a preference. We can also recommend suppliers of Flower Arrangements, Photography and Video along with a event / wedding planner! *Available on request.